Playground safety is important. While play structures seem like a fun environment for children, they can be very dangerous. Each year in the US, emergency departments treat 200,000+ children for playground-related injuries. Nearly half of those injuries are considered “serious” by the CDC. Common injuries on playground equipment normally involve: Falls, equipment failure, collisions and entrapment. Unsafe playground structures can even lead to death. Whether you are a recreation facility, public park or school, you need to support safe outdoor play areas. 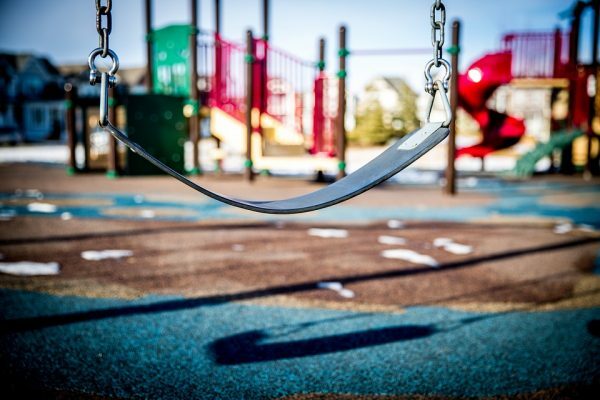 Are you playgrounds safe? While more research is needed to better understand playground injuries, there are steps you can take now. Our list of tips should help you raise playground safety awareness and improve current playground conditions. Our first tip is a no-brainer. The National Program for Playground Safety started in October 1995 to help communities in the US look at critical play area safety issues. S.A.F.E. 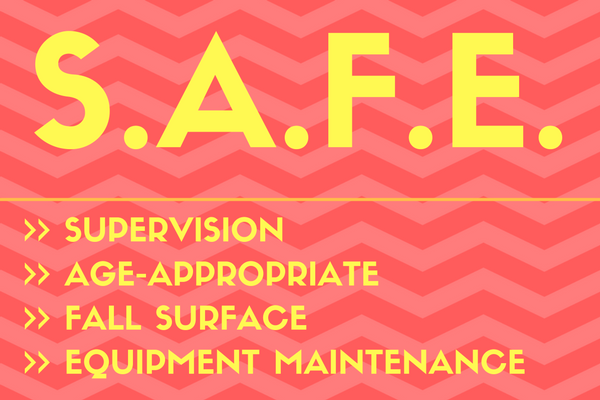 stands for supervision, age-appropriateness, fall surfacing and equipment maintenance. This plan has national, state and local levels. In order for S.A.F.E. to work, recreation administrators should make sure they are following the plan for all three levels. After you go through the S.A.F.E. plan, it’s important to make sure the four areas are correctly covered. The first and most important area is supervision. Adult supervision is one of the greatest defenses children have against playground injuries. Adults can watch for potential playground hazards as well as see, intercede and help play when necessary. If an injury does occur, adults can quickly identify the injured individual(s) and take the proper action. It’s imperative for adult supervisors to keep younger children from larger structures. As recreation administrators, you can raise awareness for this safety tip by labeling play structures at your park or facility. The third safety tip in the system is fall surfaces. Fall surfaces refer to the surface the play area is built on. 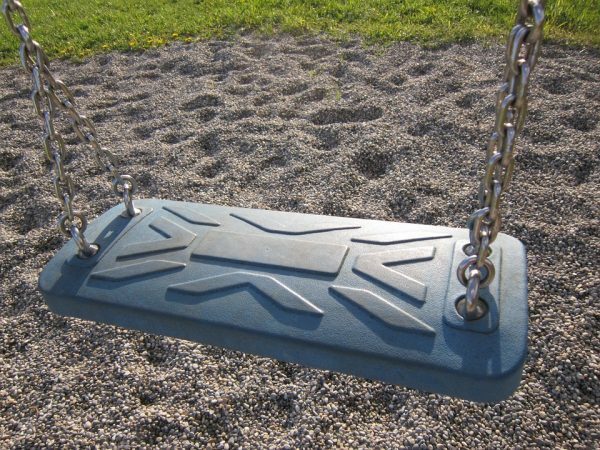 Unacceptable surfaces for playgrounds include cement, grass and dirt. These hard surfaces could increase the chance for a severe injury. If a child falls, they should fall on loose fill materials maintained at 12 inches to decrease the risk of an injury. The last tip in the S.A.F.E. program is equipment maintenance. Playground and park administrators should regularly check on structures. 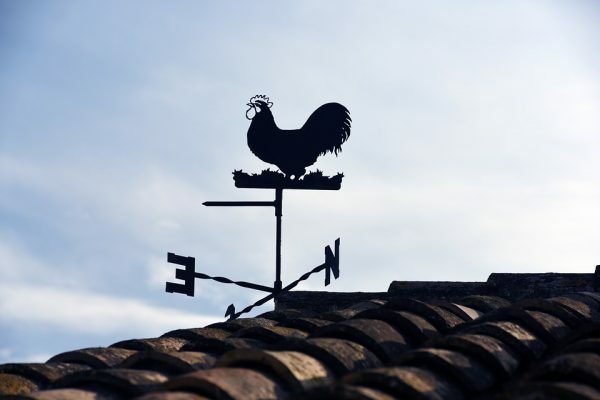 Check for things like deteriorating structures, splinters on wood equipment, cracks in plastic and rust. Since these issues can arise over time, it’s very important to check and re-check as time goes on. Remind parents and other supervisors to check the play area before they let their children play and to report any maintenance issues immediately. 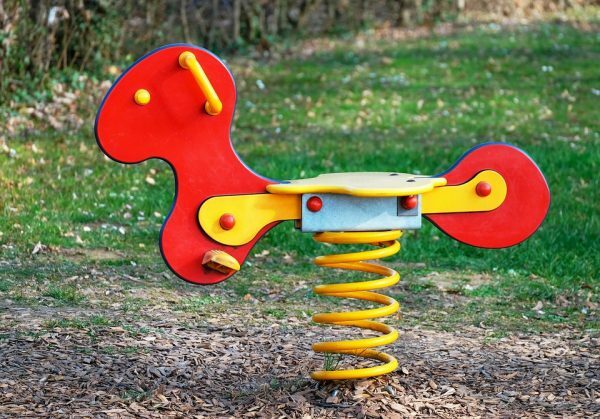 Every once in a while, a popular piece of playground equipment is recalled. When this happens, it’s important that you removed it right away. 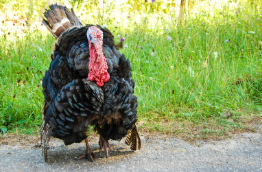 For example, in 1995 the Consumer Product Safety Commission (CPSC) recalled heavy animal swings. You can keep an eye on playground equipment recalls here. The weather greatly affects playground safety. 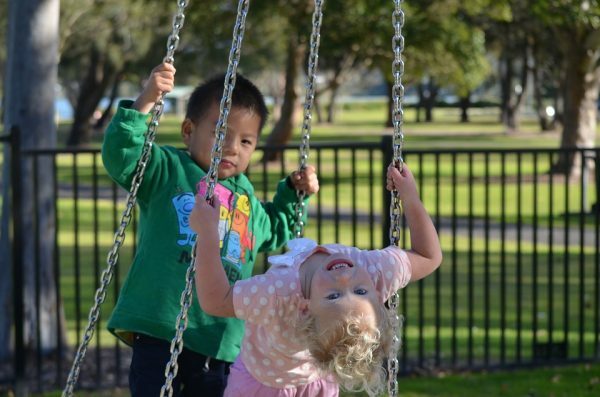 Children are at risk on playground when it is too hot or too cold. When the heat index is above 90 degrees, equipment is hot and children are more at risk for heat-related injuries. When temperatures rise, you should remind adult supervisors to check playground surfaces before allowing children to play on them so they don’t get burnt. Thermal burns are common for children on playground during hot days. Significant healthcare risks also occur when the wind chill factor is at or below -15 degrees. 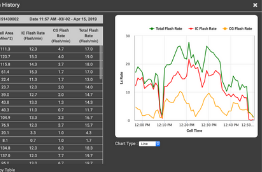 Accessing hyper-local weather is the best way to understand the real temperature at your park. It is also important to know of approaching severe weather in order to get kids to safety before it’s too late. Another important tip is to raise awareness on appropriate playground clothing. 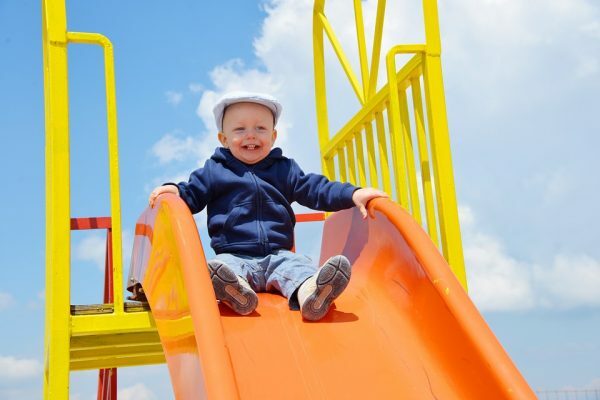 A large percentage of playground safety issues arise when children wear dangerous clothing. Clothing strings, loose clothing and other stringed items around a child’s neck puts them at risk for strangulation. Strings on sweatshirts should be removed before playing on playground equipment. Making sure children where closed shoes and have shoelaces tied are other good playground clothing practices. One clothing item that needs its own tip is bike helmets. A lot of children ride bikes or other recreational equipment to and from parks. Your supervisors may think they helmets will make children safer, but in reality the clips and strings but them at risk. Bike helmets commonly get caught on playground equipment and can also cause strangulation. 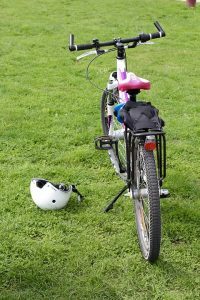 You can post signs and send out announcements warning parents and supervisors against letting children wear their bike helmets on your playground. Our last playground safety tip is to stay vigilant. Check your safety score regularly to make sure your recreational facility is safe for all visitors. 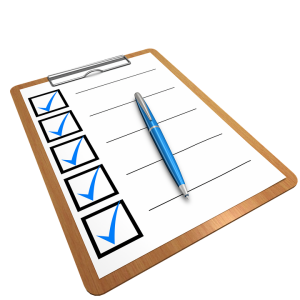 The National Program for Playground Safety’s Report Card is a great tool for evaluating your facility and organizing safety issues by priority. If you have any other safety tips, please add them in the comments below!